Today's "I Want to Be" series features Elizabeth Colegrove, who is a real estate-loving entrepreneur who’s a believer in working to live. When she’s not growing her business and empires, she’s a huge believer in family, skiing, traveling, fostering kittens, and spoiling friends’ kids. Find out how to connect with Elizabeth at the end of this article. I have three different businesses and all of them came from unique routes. The first business is my real estate business. I own seven houses (and counting!) I self-manage ten, including some homes for family. We bought our first house in October, 2011, so I have been at it a little over four years. Real estate has been such a blessing to us financially even with all the moments it brings. We have been so financially blessed that a little over a year ago I launched reluctantlandlord.net to teach others about real estate. My goal is to remove the stigma, worry, and uncertainty that prevents people from entering this field. I am in the process of launching a second website, and I also have my freelance business. All of my businesses have been born from different reasons and starts. My husband is active duty Navy. While I had no interest when we first got married of being self- employed, I quickly realized that living his dream career would limit my possibilities simply because of remoteness and frequency. I realized early on in our marriage that when my husband had the opportunity of retirement that I wanted to be financially independent. While I have enjoyed living in small town America, I never wanted to have to live somewhere for purely economic reasons. At the same time I wanted to be able to have a business that let me operate it from anywhere. Over time I have realized that real estate lets me do both. I currently self-manage all of my homes, including the four I manage for family. I have organized a renewal from a ferry in the Baltic Sea between Russia and Finland, answered a tenant’s question on a California adventure, and answered questions in Abu Dhabi and Bahrain. Our success in real estate has only fueled me to grow our empire as large as possible. I love seeing both the cash flow and appreciation that comes from these investments. I started reluctantlandlord.net because I got tired of hearing that investing in real estate wasn't possible or financially profitable. When I first launched reluctantlandlord.net we had five houses and were making over $1,000 a month. Landlording has been so financially beneficial for us as a family. 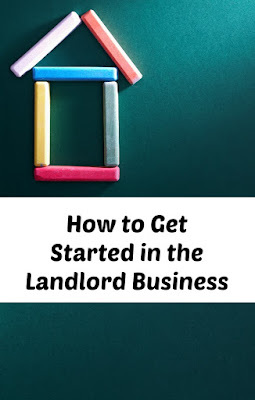 We had some incredibly stressful moments, and it is why I am so passionate about leases (and the importance of a battle-ready lease), but I realized that there were not enough resources for the average person to be successful at being a landlord. 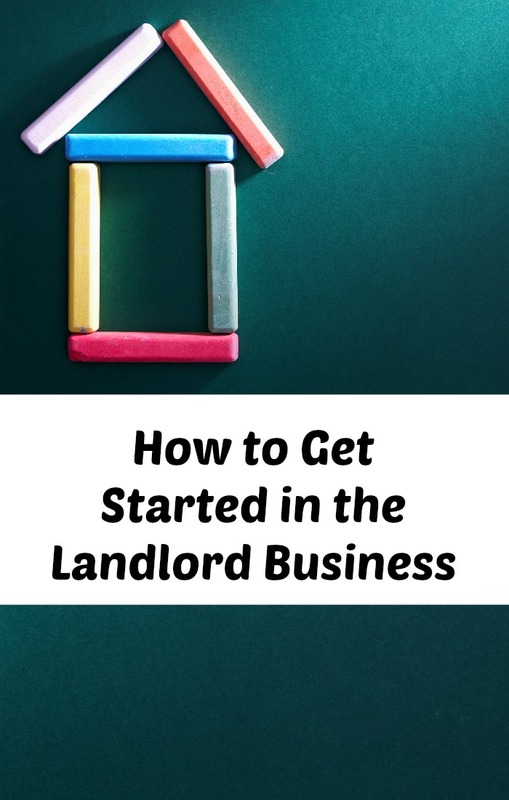 So I created the Reluctant Landlord site to teach others what I have learned. I wrote my first book on lease language to teach others how to create their battle-ready lease from my ulcer-inducing moments. Hopefully, I can save everyone a few moments. I am currently working on courses. I watched my mother have a rental on the side growing up, and I saw her reap the benefits. You don't have to want to build an empire like myself--it can be just one house. Starting Reluctant Landlord has made me realize how truly passionate I am about business writing. I have started to find myself enjoying researching and explaining the complicated world of business. My next goal is to get into the freelancing industry. (If you are looking for a freelance writer I would love to be considered.) I have found that I enjoy busting down the road blocks and scariness that real estate can offer. Are you full time or part time? If part time, do you anticipate switching to full time? I am currently part-time on my personal endeavors and full-time at my day job. My dream is to go full-time sooner than later. Unfortunately, having a W-2 income makes investing in real estate easiest and allows me to leverage to the fullest. That is why I am working very hard to launch all of my businesses to the fullest to propel my 1099 career into a cash-generating business. I want to overcome this W2 challenge. My next real estate goals are to invest in vacation rentals along with a shopping center, storage center, or other large commercial center. My dream is to own a real estate empire that I can manage anywhere. I am a huge believer in preaching what I teach, which is why my two careers go very hand-in-hand with each other. I am also starting a freelance business. My goal is to continue to help others while continuing to be able to grow and invest in real estate. 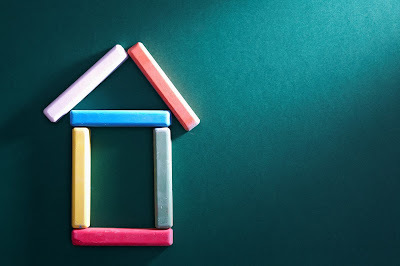 I market my real estate empire predominantly through postlets although there are 17 (article) places that I market depending on the location and house. I have found that getting involved in groups has done very well for creating a name and brand for myself. I write a weekly blog article for Biggerpockets, guest post with many other publications (if you are interested in a guest post I would love to work with you), and I am very active in Facebook groups. I was recently featured in Navy Time and Yahoo Military. My next goal is to have a piece published on The Huffington Post, Forbes, Entreprenuer and Money.com to name some of the few on my to do list. I advertise my freelancing purely through Facebook groups and word of mouth. At this point I am still growing my business. I love being my own boss, that no one but myself is the reason for either my success or failure. I love not having to play well in the sandbox or of being constrained by office politics. Most importantly, I love that I can fully achieve my goals of working to live. My husband has a busy schedule and one that takes him literally all over the world. I love that I can operate my business anytime and anywhere. I have the goal of no longer having to plan our life around my work. I look forward to being able to truly organize my work schedule around family life so I don't miss any of the amazing moments and can work extra hard during the moments he is gone. How do you handle so much debt? In today’s world, we are all about reducing and living debt free. While there are great motions because credit card and other debt can be overwhelming and oppressive, people forget debt can be an amazing and useful tool. Debt offers freedom and opportunities. The key is to use it in moderation and with an idea towards the big picture of good versus bad debt. Our seven houses produce a positive cash flow. That is considered good debt in my book. The biggest joke I get is when I am called the “slum landlord”. I do love a good laugh especially at my own expense. I am not a slum landlord as I care about my houses and provide a solid product for my tenants. At the same time, this is a business, and I have standards. I have a very in-depth lease that is a binding contract between myself and my tenants. I hold my tenants’ feet to the fire. A lease is a legally binding agreement for BOTH parties. There are lots of crazy moments, and landlording is not for the faint of heart. But, like most things that are worthwhile, they have their moments and costs. Don't overthink it, and be patient. I have always wanted to own houses from a very young age. So when we first got married, we had roommates to help save an emergency fund. Then we bought our first house with a VA loan. We are a huge believer in baby steps. The awesome thing is while it started slowly in the beginning, we were able to baby step our way through our goals pretty quickly. The key was a great foundation, patience, and following the plan one baby step at a time. For us the first step was to believe in ourselves, and that is the key for anyone starting any type of business. Many people told us we crazy. At the end of the day, believe in yourself and follow your dreams and goals. I knew I always wanted to have my own business, and I knew that I wanted it in real estate. From there I just let it take its course and believed in my abilities. You can learn more about what Elizabeth does at The Reluctant Landlord. You can also follow her on Facebook or Twitter.